Lenders of Jet Airways are likely to pick up a substantial stake in the debt-laden airline till a new promoter is roped in, sources said. The process of getting a new promoter on board is likely to take another two to three months and once that happens, the banks would offload their stakes, they added. The State Bank of India-led consortium of lenders is working on a resolution plan for the cash-strapped Jet Airways for the last five months. The full-service carrier has a debt burden of more than Rs 8,200 crore and needs to make repayments worth up to Rs 1,700 crore by March-end. Sources said lenders of Jet Airways might pick up a substantial stake in the airline, a move that would provide comfort in the interim period till new promoters come in. Current promoters of Jet Airways have to exit before a new investor can be roped in. The entry of new promoter is unlikely before two to three months, one of the sources said. The lenders would ultimately sell their stake in Jet Airways to the new promoters as and when they are roped in, they added. 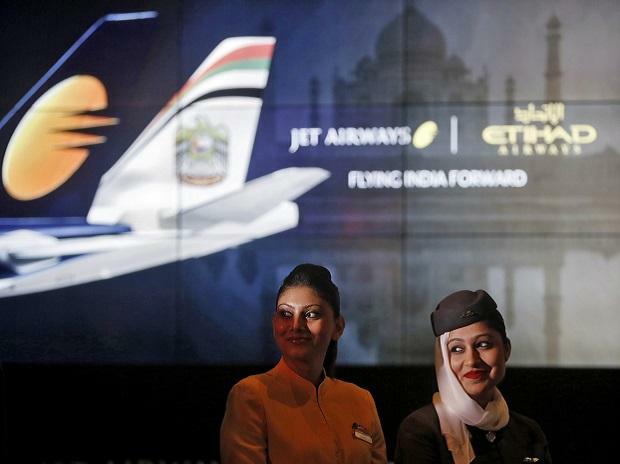 Jet Airways Chairman Naresh Goyal holds 51 per cent stake while Gulf carrier Etihad Airways has 24 per cent shareholding in the airline, which has been in operation for over 25 years. Earlier this week, SBI Chairman Rajnish Kumar along with Civil Aviation Secretary Pradeep Singh Kharola and Principal Secretary to Prime Minister Nripendra Misra apprised Finance Minister Arun Jaitley about the developments at Jet Airways. The airline is flying just about a third of its fleet, defaulting on interest payments and delaying salaries to pilots. The lenders are trying to revive the carrier by change in management as they feel collapse of the airline would not be good for consumers as well as competition in the industry. They have also decided against taking the airline through insolvency process. On Tuesday, Jet Airways' pilots' union threatened to stop flying from April 1 if their salaries were not paid by March 31. Earlier this week, the Directorate General of Civil Aviation (DGCA) said there may be "further attrition" of flights "in coming weeks".